This has been the most controversial week in our nation’s news that I can remember. It takes about ten seconds of television watching or internet surfing to realize that people are passionate—and disagreeing—about their beliefs. Things get hot quickly! We are discussing many critically important ideas in our country right now, and Christians should be an important part of those conversations. How we speak in these times matters very much. When Ephesians 4:15 says that we are to speak the truth in love, it is not only referring to the content of our speech, but also to the method of our speech. Here’s a reminder: “Whoever blesses his neighbor with a loud voice, rising early in the morning, will be counted as cursing” (Proverbs 27:14). 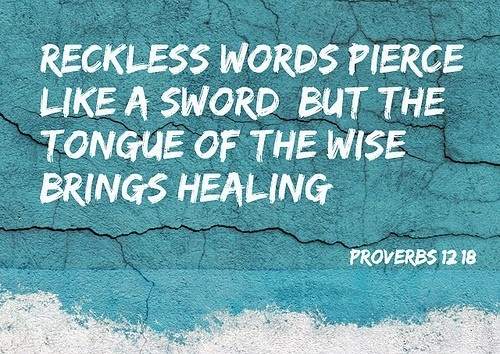 In other words, what we say can be totally accurate, but how we say it can destroy any good we could have done. If you want to represent the faith in what you say, make sure that you represent it in how you say it! Where are the three places that you spend the most time? For most people, the first place is home, and the second place is work. But what about the third place? 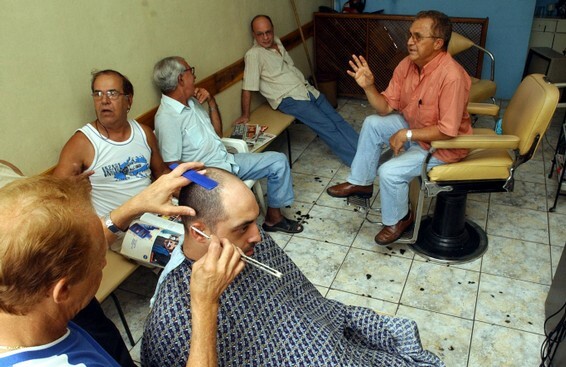 A barber shop in Brazil. The barber shop is an example of the third place; in many societies it has been a traditional area for (especially) men to congregate separate from work or home. For parents with school-age children, the third place might be the little league bleachers. For a business professional, it might be the golf course, the coffee shop, or even the bar. Where is your “third place”? Missiologists (people who study how to do mission work) have written much about the third place because it is one of the places where you can do the most good for the kingdom. A man’s home is his castle—and many people don’t like the intrusion of door-knocking, so it is hard to reach someone at home. A person’s job keeps him busy. It’s sometimes difficult to have a meaningful discussion at someone’s work without getting him in trouble with the boss. The third place usually is a place of freedom, community, and relaxation—a great place to have a spiritual conversation that might bear fruit. When you read the book of Acts, you see that the apostles tended to spend time in third places. They reasoned in the synagogues—the centers of Jewish community life. They taught in the marketplaces—the centers of Gentile community life. Here’s a suggestion for how to share the gospel: identify your third place and become more intentional about showing the light of Jesus there! Imagine that your soul is a boat. 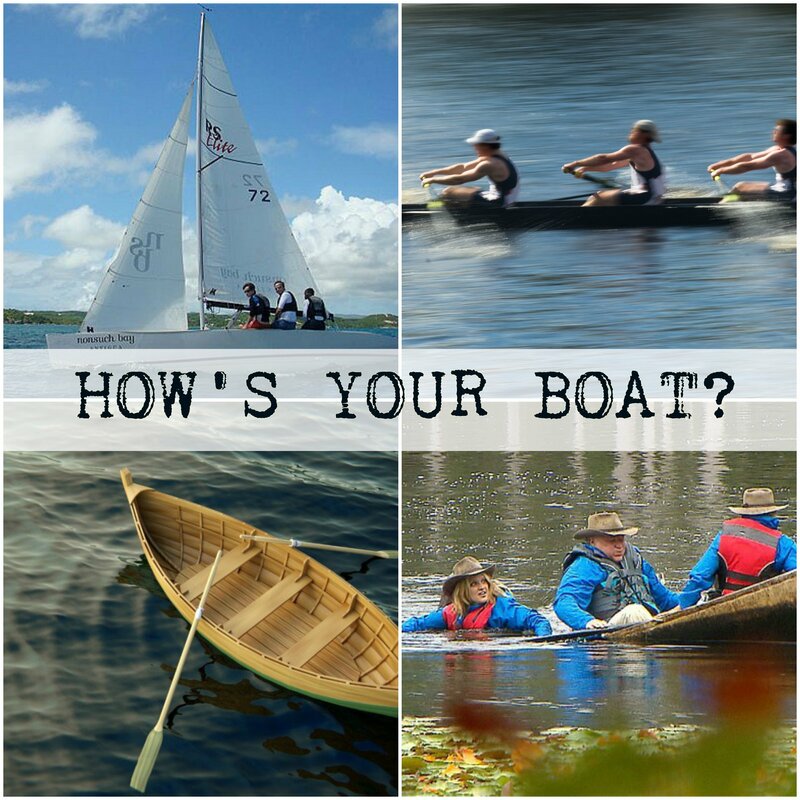 It’s not a gas-powered boat; it has oars and a sail. If you’re that boat, there are four things you could be doing. SAILING: Sailing is living the Christian life with the wind at your back. God is powerful and active, and you see, feel, and recognize that clearly. Prayer is a pleasure and study is a joy. ROWING: Rowing is when you are working. You find the disciplines to be a duty more than a delight. It doesn’t feel like God is doing much. You feel alone often. You keep at it, you don’t give up, but you don’t see the results. DRIFTING: Drifting means that you’re feeling the same way you felt if you were rowing—but instead of digging in, you’re letting yourself drift. You don’t feel like approaching and obeying God, so you don’t. You feel sorry for yourself, so you indulge and self-medicate. You’ve given up for now, but hope is not lost. SINKING: A boat that drifts long enough will eventually sink. It will collide with another boat or a shore, or eventually time and negligence will compromise the hull. Drifting long enough leads to numbness, negligence, and death. If you pray, worship, and obey despite negative circumstances and feelings, you won’t be drifting, and when the winds come up again, you will move ahead swiftly. On the other hand, if you do not apply the means of grace, you will at best be drifting, and if storms come your life, you might be in danger of sinking. In any case—pray no matter what. Praying is rowing, and sometimes it is like rowing in the dark—you won’t feel that you are making any progress at all. Yet you are, and when the winds rise again, and they surely will, you will sail again before then.